• Shasta County reckons with lives and homes lost to wildfire. • A full-fledged epidemic of espionage on the West Coast. • A man looking for drama at Trump's vandalized star gets it. 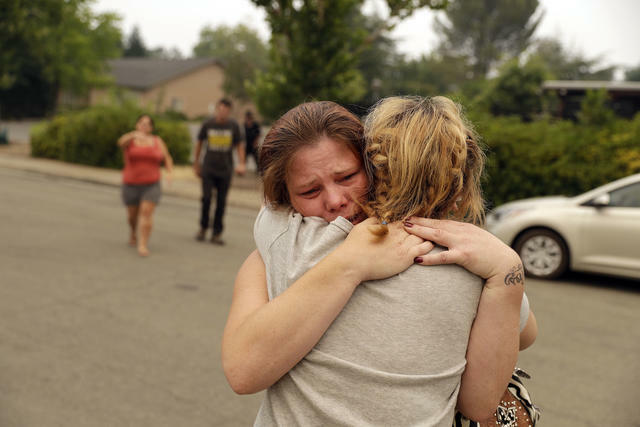 Carla Bledsoe, facing camera, hugged her sister Sherry Bledsoe on Saturday after hearing that Sherry's children, James and Emily, and grandmother, Melody Bledsoe, were killed in a wildfire in Redding. Six people have died and more than 650 homes have been lost in the inferno sweeping through Shasta County. The Carr Fire was only 17 percent contained after scorching nearly 150 square miles in the area surrounding Redding. Mercifully, the blaze slowed on Sunday, reports said. "We're feeling a lot more optimistic today," a fire official said. Among the dead was a woman and two of her great grandkids. Melody Bledsoe, 70, James Roberts, 5, and Emily Roberts, 4, died after their house was swiftly overwhelmed by flames. The children's mother, Sherry Bledsoe, stood sobbing in front of the Shasta County Sheriff's Office after getting the news, USA Today reported. "My babies are dead," she said. Read overviews of the fire situation in the A.P. and L.A. Times. And see an up-to-the-minute fire tracker. The United States has the highest maternal mortality rate in the developed world. An American woman is six times as likely to die in childbirth as a woman in Scandinavia. But California is leading the charge to reverse that trend. Since 2006, the state has cut its rate by more than half. 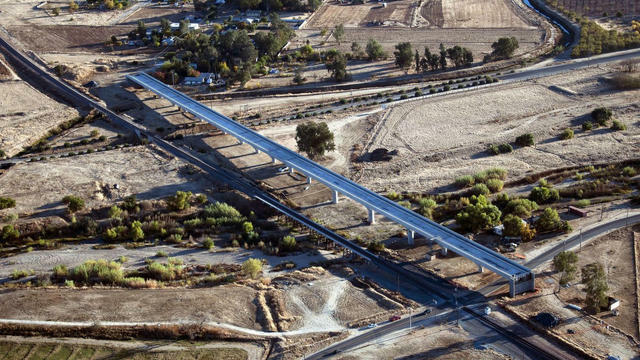 A viaduct for California's bullet train outside the city of Madera. When California voters approved the construction of high-speed rail in 2008, they were promised that passengers would be able to speed from Los Angeles to San Francisco in two hours and 40 minutes. The target, it turns out, is based on assumptions that are unproven and highly optimistic — surpassing virtually all the systems in Asia and Europe. On July 1, California started requiring that marijuana sold in the state pass tough new safety tests. The first results are in, and one in five batches failed. Among the reasons: Pesticide contamination and inaccurate labeling. While concerning, experts say it's also a sign that the industry is maturing. Fields got a soaking at the edge of the Sierra. Agriculture is the biggest consumer of water in the West. So you might expect water consumption to be closely tracked. 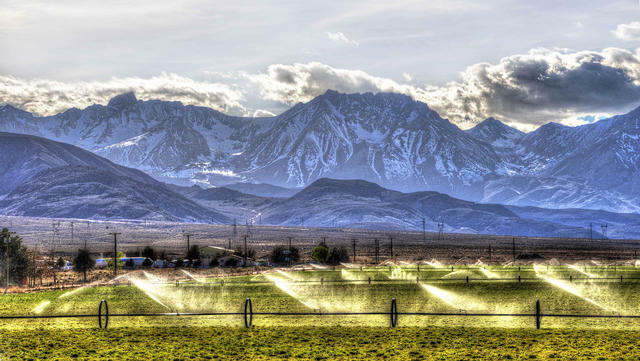 While some states track water deliveries to farms in real time, California has allowed irrigation districts to submit annual reports — on paper. According to one analysis, fewer than half are even doing that. Access to the beach at McWay Falls is strictly off limits. That's how it's remained unspoiled. 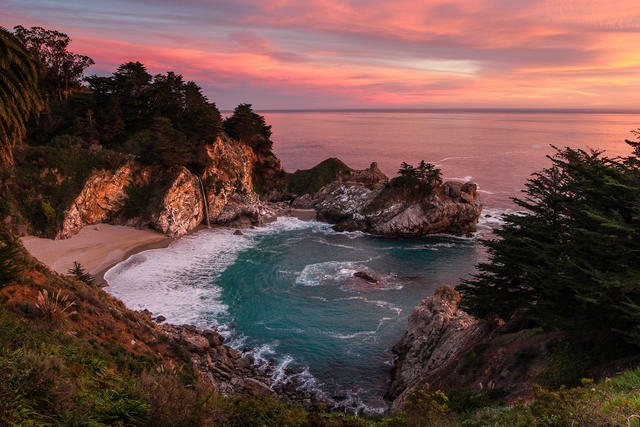 Julia Pfeiffer Burns State Park is home to ancient redwoods and McWay Falls, which tumbles 80 feet off a granite cliff into an almost impossibly beautiful cove. The park among seven recommendations of places to see in Big Sur now that Highway 1 is open. The old Hunters Point shipyard in San Francisco is a federal Superfund waste site. That means it’s one of the most contaminated places in the country, tainted by radioactivity, heavy metals, and other pollution. But in 1996, the city leased an empty building there to house specialized police units. Now the cops are haunted by what they weren't told. Former American intelligence officials warn that there is a full-fledged epidemic of espionage on the West Coast right now. And many of its targets are unprepared to deal with the growing threat. According to former intelligence officials, in the 2000s, a staffer in Senator Dianne Feinstein’s San Francisco field office was reporting back to China. 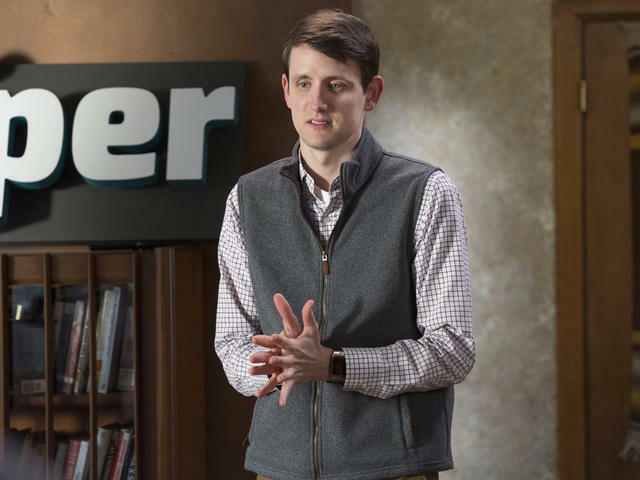 Zach Woods's character Jared Dunn sports a standard issue vest in HBO's "Silicon Valley." Twitter users have been mocking a vending machine that sells vests — the unofficial uniform for venture capital investors — at San Francisco's airport. But a spokesperson said the machine is averaging $10,000 in sales a month. At nearly $50 a pop, that means it's selling 200 vests a month. 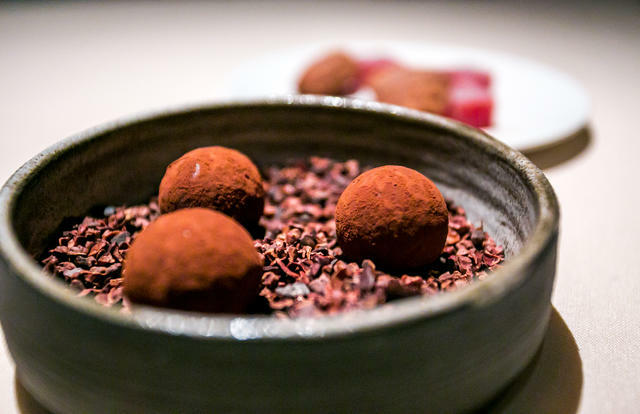 Tonka bean bonbons at Michelin-rated Manresa in Los Gatos. "New York and Chicago feel like old news in comparison." The Bay Area is home to more three-Michelin-star restaurants than any other region in America. It took risk, innovation, and lots of Silicon Valley money to get there. Mission Viejo is believed to be the first California city to allow so-called cumulative voting, which gives citizens as many votes as there are City Council seats. For example, if five seats are up for election, voters will get five votes to use however they like, including giving them all to one candidate. Ving Rhames is starring in the new "Mission: Impossible" movie. 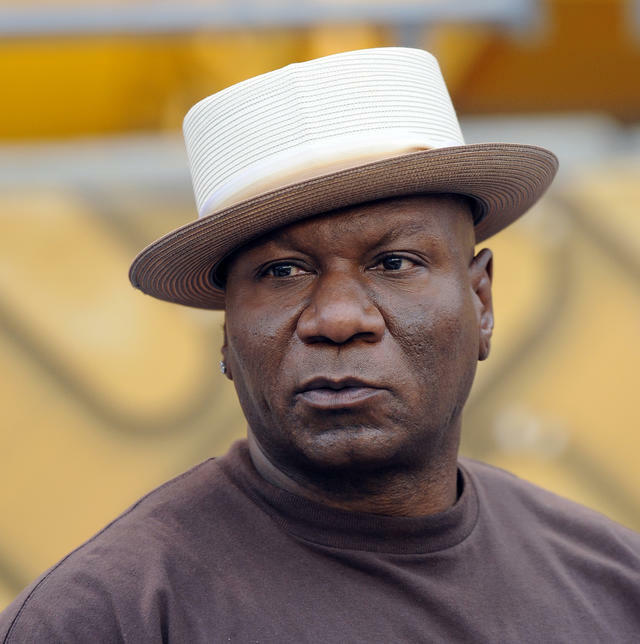 The actor Ving Rhames said he had just returned to his home in Santa Monica and was watching ESPN when there was a knock at the door. He answered it, wearing only basketball shorts. "I get up, I open the door, and there’s a red dot pointed at my face from a 9-millimeter, and they say, 'Put up your hands.'" The police explained that a woman called 911 to report that a large black man was breaking into a house. It's being pitched as Los Angeles's most expensive residential property ever. 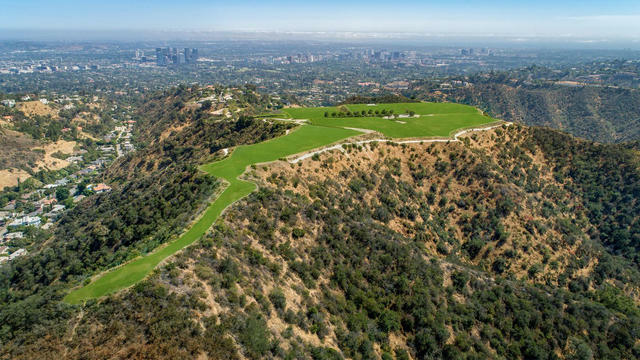 At Beverly Hills's highest point, a 157-acre parcel with 360-degree views and a storied history is hitting the market for a cool $1 billion. And there isn't even a house on it yet. Island foxes are curious and playful with pointed noses and rust-colored fur along their sides. 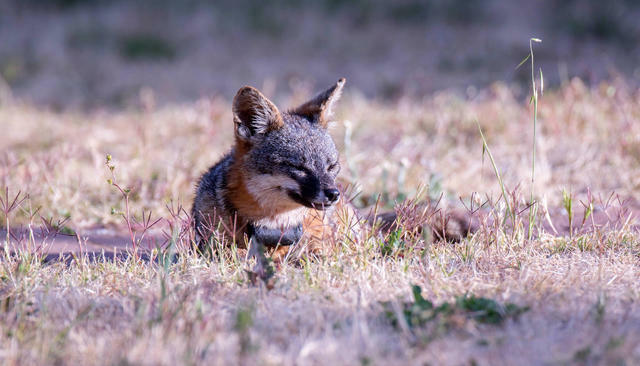 California’s adorable island foxes live on the Channel Islands off Southern California and nowhere else on earth — and they were nearly wiped out. By the early 2000s, fewer than 100 remained. They have since undergone the fastest recovery of any mammal under the Endangered Species Act. Donald Trump's star on the Hollywood Walk of Fame was vandalized last week. 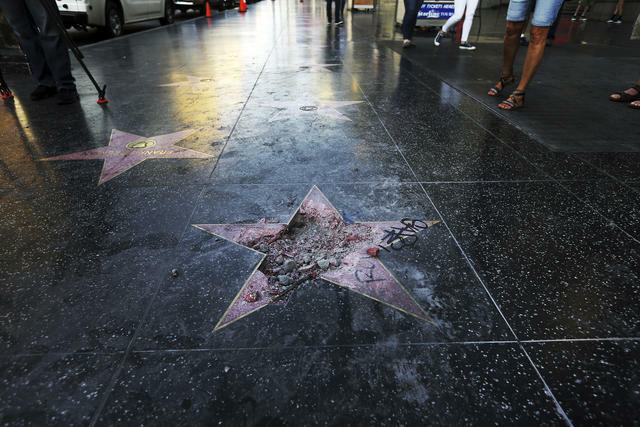 A man in search of drama set up his video camera in front of President Trump's Hollywood star after it was vandalized with a pickax. He only had to wait a few minutes. A man was kicked in the head, and another was left bleeding from his face. But the police have not arrested anyone or released details about what happened.